Wonderful movie by Barry Levinson. 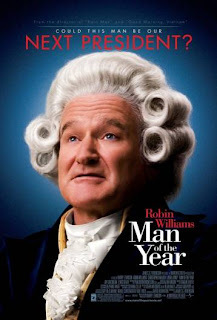 Its a movie about a comedian Tom Dobbs(Robbin Williams) who hosts a news satire program decides to run for president, and a computerized voting machine error gets him elected. Thanks Jnani, I have started loving watching such classic movies.